In a previous article, we featured photographs of unloved vehicles that have been left to rot in backyards and junkyards all across the country. 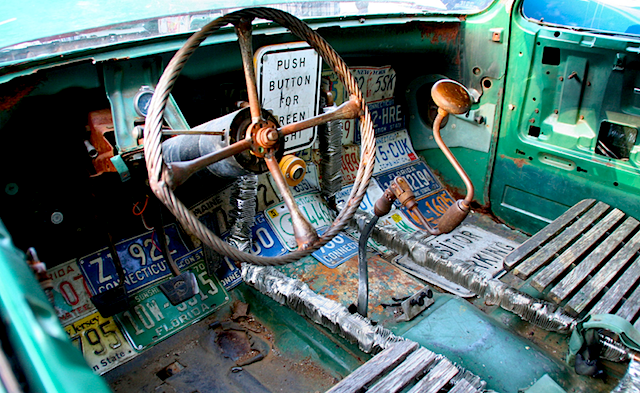 But what about cars that are loved — just rotted by design? 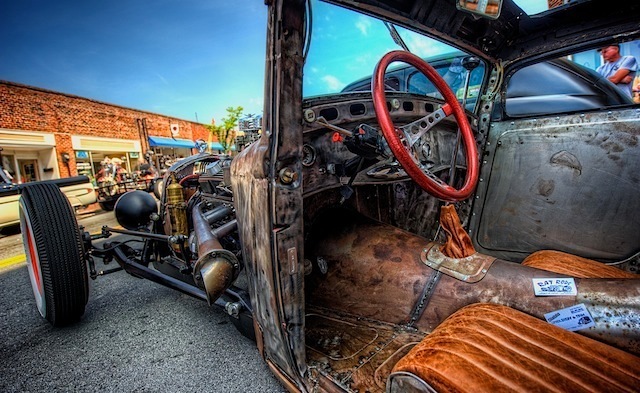 A rat rod is a distinct genre of automobile that rose out of 1970’s hot rod culture to counter the trend of pristine restorations and customizations that often alienated car enthusiasts with limited funds. The rods, which are typically coupes or roadsters from the late 1920’s to late 1950’s, were initially plain vehicles with souped-up powertrains. 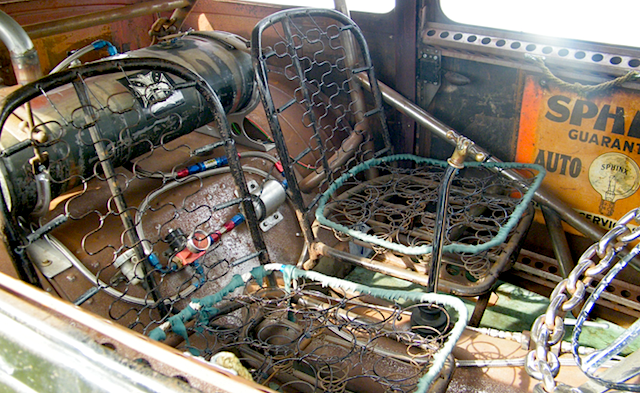 To save money, owners would leave them in primer paint and put blankets over their upholstery. 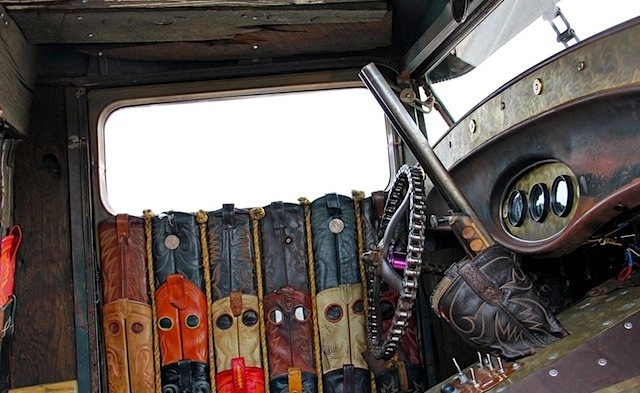 As the genre became more popular — due in large part to magazine coverage — the look of rat rods transformed from necessity to novelty. It wasn’t long before owners began purposefully neglecting and even beating up their vehicles to make them look more worn. 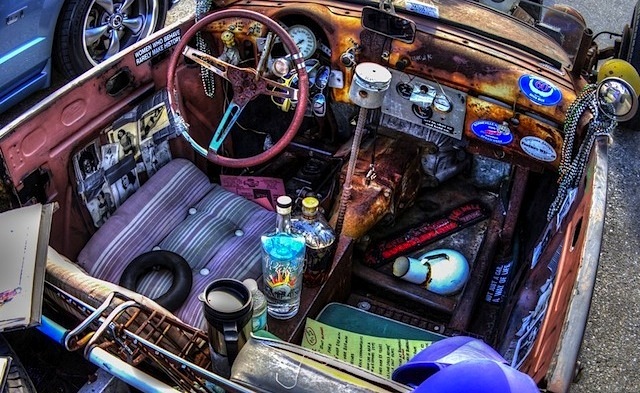 Owners also began organizing rat rod car shows and awarding prizes to those with the most disintegrated rides. 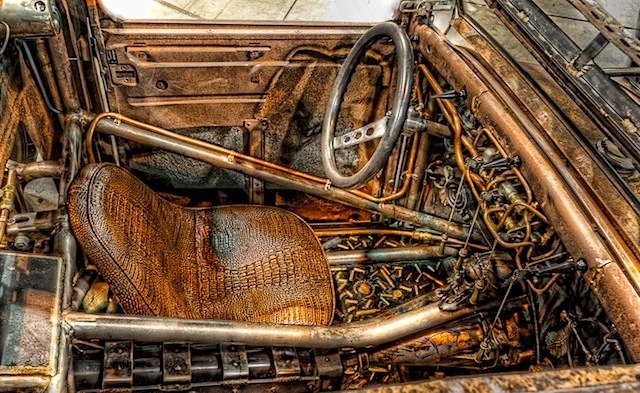 Ironically, today car enthusiasts pay a lot of money for distressed paint jobs and interiors so that they could boast about owning the baddest rat rod on the block. For those of us who’ve spent years honing our skills to become masters of our craft, it’s a nightmare for sure — but to each his own I suppose. 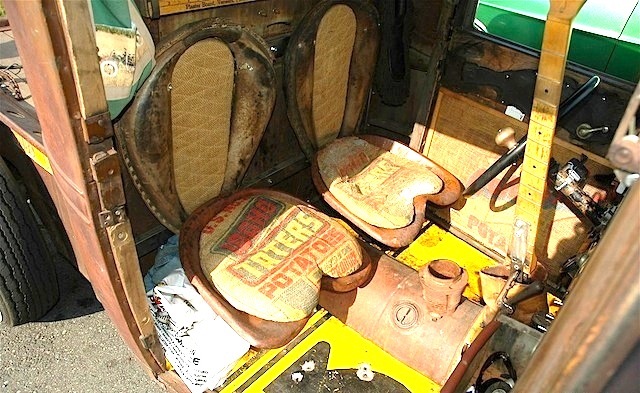 Below are our picks for 10 best — and by that we mean nastiest and grimiest — rat rod interiors. What do you think? 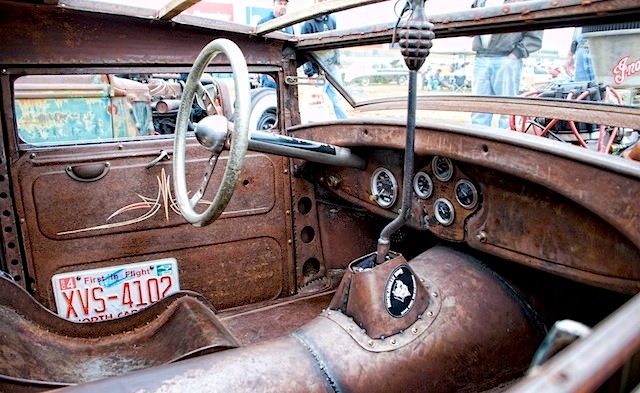 Share with us your thoughts on rat rod culture in the comments section below. I think they ate great . LOVE FOR THE GRITTY RATS! While I don’t share your enthusiasm for these decrepit cabins, I will admit they do hold a certain charm… you know, in that Sanford and Son sort of way. Got to love the 5th one down! Hammers #33. 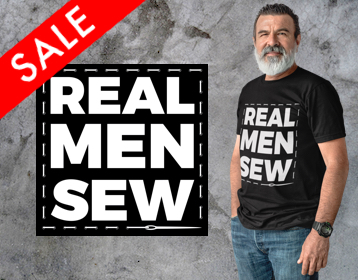 Maybe its because I sewed it all up… shout out to Rat Rods by Jason! I know the owner that built this one. He calls it the Rockabilly Rat. It is old school all the way. His name is Ken Coats from Wenatchee Washington. Retired…Art Mabe, No Thanks For Me. I thought the boots were an original idea too. In the right car, they work well. It’s just a different taste. If we all had the same taste, we would all be eating tofu and lucky charms. And this is why you’re retired. 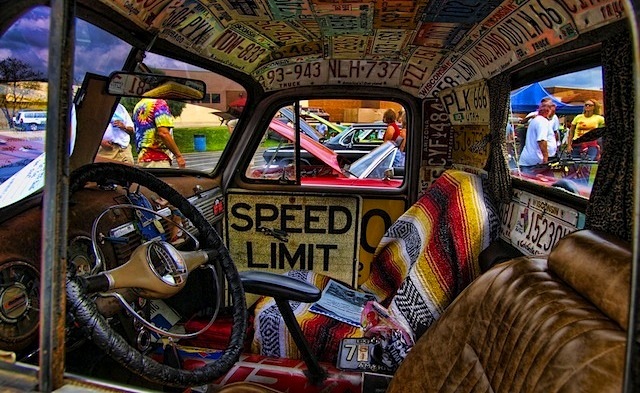 I have never understood the attraction to this type of vehicle. When we were kids I wouldn’t be caught dead in one. It seems have spawned new and growing fad and for those that appreciate it. There is a lot there to take in and really like. 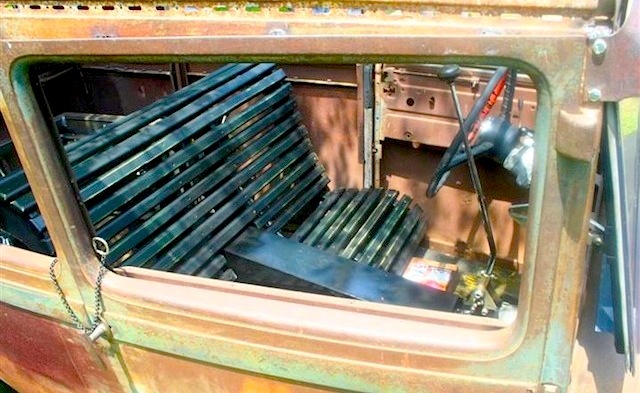 pretty cool stuff but i get the point of calling them the worst as we have no work to do in any of these all home made but stil if you can rat rod it on the outside a true ratrodder must make them rat rod on on the inside some reall cool ideas seen here thats for sure.